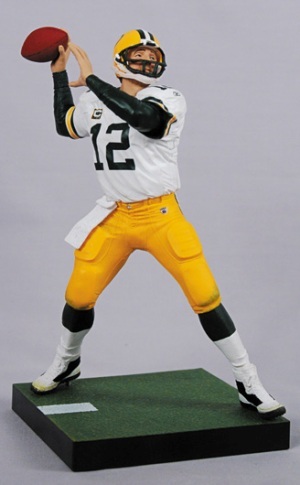 McFarlane SportsPicks is scheduled to release two different multi-figure football products in September. The first features a pair of Hall of Fame legends and Fox TV analysts: Terry Bradshaw and Howie Long. The two players squared off only once in their careers and the two-pack features the elder Bradshaw on the run looking down field while the rookie, Long, gives chase in hot pursuit. This set is scheduled for release early next month to coincide with the start of the 2011 football season. The NFL lockout may be over and a new season is just around the corner, but Green Bay is still celebrating the Packers' Super Bowl victory over the Pittsburgh Steelers. 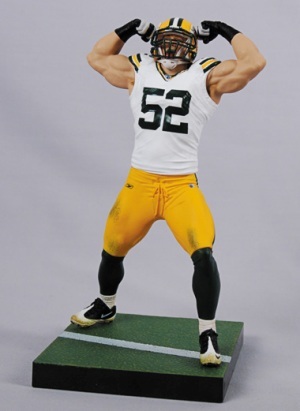 SportPicks pays tribute to the changing of the guard and a potential new dynasty with a special three-pack of Aaron Rodgers, Greg Jennings and Clay Matthews. 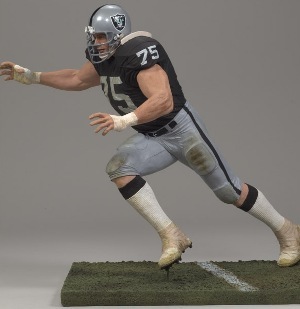 This is the first figure for Matthews. The Rodgers and Jennings pieces are their first in the team's white jersey. 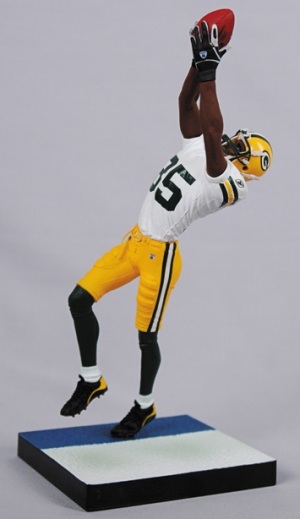 The Packers set will be available in mid-September. Sammy Watkins-NFL McFarlane Collector’s Club Sports Figure.